Demolish foes with the power of your light trail in Deadline paying out Double GTA$ & RP to all bloodthirsty combatants through March 20th. 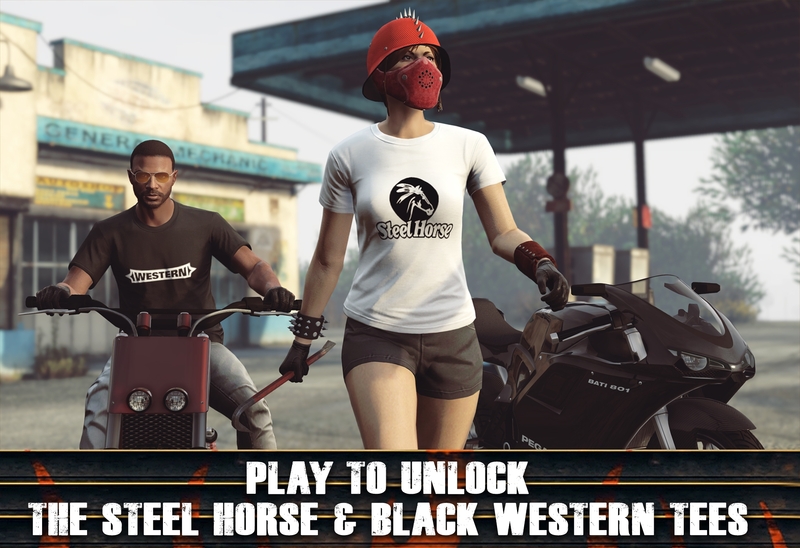 Play anytime this week to unlock the monochromatic Steel Horse Solid Logo and Black Western Tees. Take charge of a leather clad legion of prospects with your own MC Clubhouse at 50% off this week, while all Biker Businesses can also be acquired at the same discounted rate. Plus, take up to 40% off a variety of vehicles.